This page is dedicated to fan favorite quotes from Twilight. “You and cullen, huh?” he asked in a rebellious. My previous feeling of affection disappeared. “That’s none of your business, Mike,” I warned, internally cursing Jessica to the fiery pits of Hades. “I don’t like it,” he muttered anyway. “He looks at you like . . . like you’re something to eat,” he continued, ignoring me. *sigh* this really brings out the best in Twilight, and its almost like living with Mr.Incredible all over again. And then his cold marble lips pressed very softly against mine. OMG TWILIGHT IS THE BEST F*CKIN MOVIE IN THE WHLOE INTIRE F*CKIN WORLD!!!!!!!!!!!!!!!!!!!!!!!!!<3!!!!!!!!!!!!!!!!!!!!!!!!!!!!!!!!!!!! this is my fave quote i mean its sooo truth… WhEN LIFE OFFERS YOU A DREAM SO FAR BEYOND ANY OF YOUR EXPECTATIONS, ITS NOT REASONABLE TO GRIVE WHEN IT COMES TO AN END. 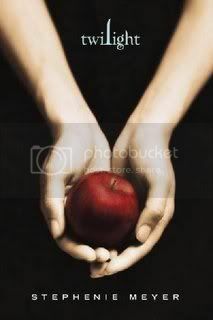 Twilight is my all time favorite book..Most of my favorite quotes are 4rm Twilight!!! Alice- knockz on the door “can we come in? it sounded lik u wer having bella for lunch we cam to see if you would share. You need to put the quote in there about Edward saying he was going to hell. I’m unsure of the exact words but that’s my favorite quote by him. Dear Twilight, you are my life now. Log in | 54 queries. 1.049 seconds.